Can smart underwear could save you from debilitating back pain? Imagine getting dressed in the morning but, before you pull on your pants and jacket, you slip into a pair of smart underwear. 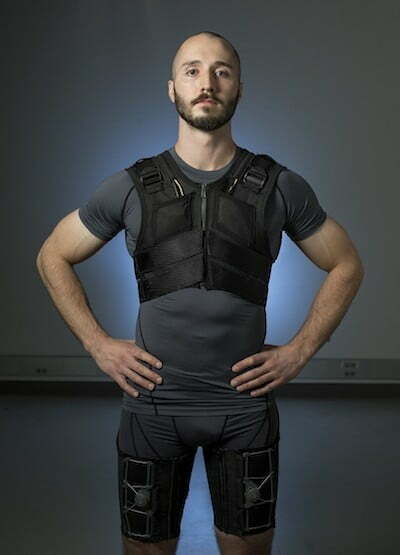 Engineers at Vanderbilt University have developed a powered undergarment, which they say can limit back pain and strain. In a recent study, the mechanized clothing was shown to decrease stress on lower back muscles during bending and lifting tasks. The elastic bands in the smart underwear take over some — but not all — of the work that usually falls on lower back muscles and ligaments. To test the underwear, the researchers gave them to eight subjects, who were asked to lift 25-pound and 55-pound weights, while bending at 30, 60, and 90 degrees. The underwear was shown to reduce lower back muscle activity by between 15 and 45 percent on average. Although some of us may bend and lift throughout the day, we are not constantly in need of assistance, so Zelik and mechanical engineering Ph.D. student Erik Lamers, who helped design the device, embedded a small electromechanical clutch into the underwear that allows it to be turned on and off at its wearer’s discretion. The wearer can either use an app or double tap the chest to engage and disengage the clutch. Smart, powered clothing — from undergarments to this modular exoskeleton lets disabled children walk on their own two feet to exoskeletons — have emerged as a promising way to take the strain off of our bodies both at home, in public, and in the workplace.